With Readly you can read History of War - US Military's Greatest Leaders and thousands of other magazines on your tablet and smartphone. Get access to all with just one subscription. New releases and back issues – all included. 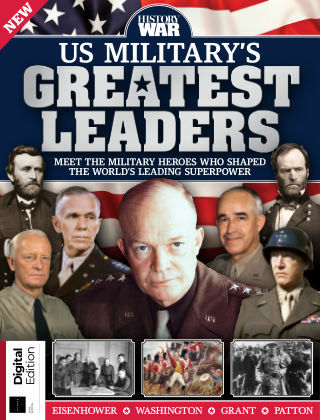 Filled with fascinating insight, in-depth features and battle maps, in US Military's Greatest Leaders you’ll discover how Washington defeated the British and created the fledgling United States in the process, what led two of the nation’s most respected military generals to go head-to-head in the American Civil War, the role Eisenhower played in the Allied victory during World War II, and much more.